The deal brings together two world renowned boxing figures; former World Heavyweight Champion, David Haye, who has self promoted and navigated his way to multiple world title fights and Pay-Per-View mega showdowns, joins forces with former Golden Boy Promotions CEO, Schaefer, the brains behind many of the biggest-selling Pay-Per-View fights in history, and the founder of Ringstar Sports. The deal marks Schaefer’s first business foray into the UK market, and it also ensures that Haye will remain at the pinnacle of boxing long after he hangs up his gloves. Hayemaker Ringstar will establish a stable of boxers, including current World Champions and the UK’s most exciting prospects. The company will be a unique promotions entity, one that puts boxers first, gives global exposure to the most talented fighters, bringing the sport to a new legion of fans. The company will sign an exclusive deal with a major UK broadcaster, and aims to be recognized as the home of World Champions and future World Champions. As CEO of Golden Boy Promotions from 2002 to 2014, Schaefer brings unparalleled experience to the new joint-venture. At Golden Boy, he promoted what were at the time the two biggest selling PPV events in boxing history – Floyd Mayweather vs De La Hoya in 2007, and Mayweather vs Canelo Alvarez in 2013 – while also bringing through the likes of Alvarez, Keith Thurman, Danny Garcia and Deontay Wilder from up-and-coming prospects to World Champions and Pay Per View main-eventers. Richard Schaefer said: “I’m delighted to be partnering with David to form Hayemaker Ringstar. The UK is a great market for boxing, with exciting fighters and passionate fans, and we’re determined to work with the most talented boxers to give people the fights they want to see. 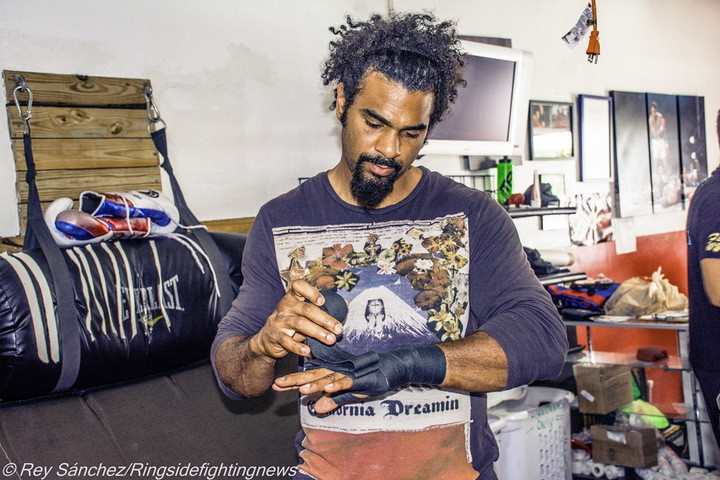 The first fight to be promoted by Hayemaker Ringstar will be Haye’s heavyweight clash with Tony Bellew, a co-promotion with Matchroom Boxing, at London’s O2 Arena on March 4th. While the focus will be on UK-based fights, Hayemaker Ringstar will also work on promoting fights in the USA, capitalizing on Schaefer’s unrivalled contacts with broadcasters and venues.